Maize is among the most widely spread and widely used crops of the world, used for cereals for over 4 billion humans, as food for farm animals, and as a source material for biofuel production. Yet there are relatively few books on the cropping system of this important crop. 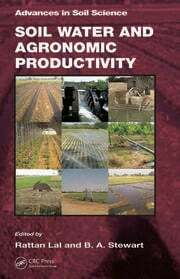 This book, Maize Agroecosystem, is a concise treatise dealing with agronomy, soil fertility, and productivity of maize. The information is global in nature and considers recent developments in all maize cropping belts. The "global maize agroecosystem" is a conglomerate of several "maize cropping belts" that flourish on different continents. 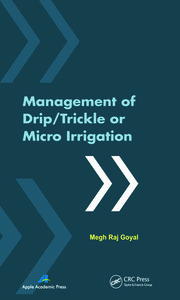 The impact of nutrient management on the productivity of maize agroecosystems is the main focus of this book. 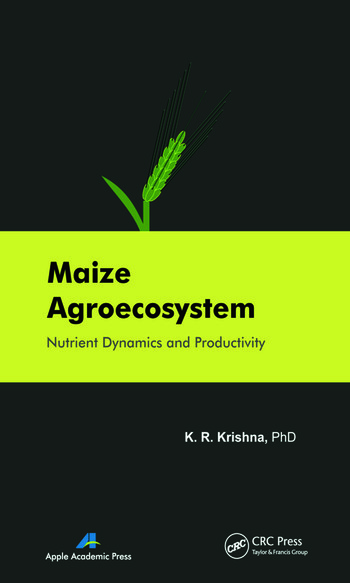 The book includes the history of maize growing, the kinds of soil needed, nutrient dynamics, the use of soil organic matter, the physiology and genetics of maize, and integrated nutrient management. It presents comprehensive knowledge regarding the physicochemical dynamics of the three major nutrients: nitrogen, phosphorus, and potassium. Also covered is how fertilizers impinge on soils of maize farms and their impact on soil and groundwater quality. The impact of crop genotype on soil nutrient dynamics and productivity is also highlighted. 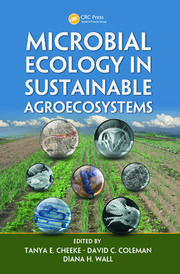 The information provided here will be highly useful to students at colleges and universities in the fields of agricultural sciences and environmental science and ecology, and the book also functions as valuable resource for researchers and professors in crop science. Several figures and tables are included that describe and summarize the impact of various agronomic/fertilizer management procedures on crop productivity. K. R. Krishna received his PhD in Agriculture from the University of Agricultural Sciences Bangalore. He has been a cereals scientist in India and a visiting professor and research scholar at the Soil and Water Science Department at the University of Florida, Gainesville, USA. Dr. Krishna is a member of several professional organizations, including the American Society of Agronomony, the Soil Science Society of America, the Ecological Society of America, and the Indian Society of Agronomy.